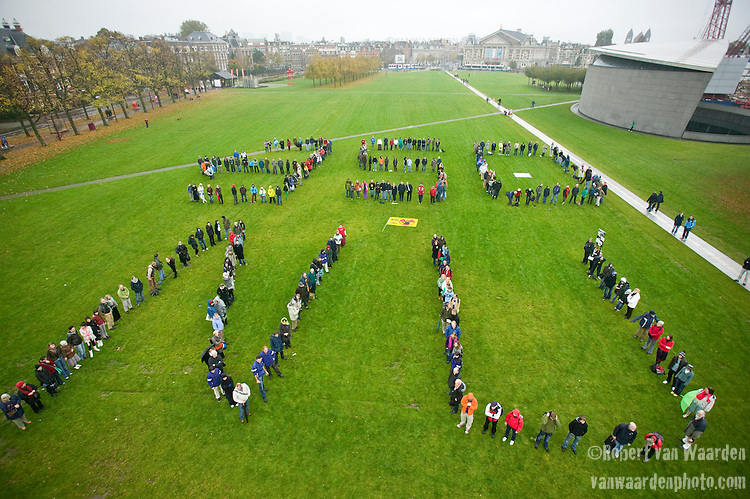 350 Aerial Photograph in Amsterdam, October 24, 2009, Museumplein. Hundreds of people form a '350 NU' to demand world leaders commit to a 350 ppm target in Copenhagen. This action was part of over 4600 actions across the globe on October 24, 2009, all calling for a target of 350ppm.